This is a perfect combo – coffee and exercise all in one place. Working out needs and uses energy. What better way to start or end your work out than with a freshly brewed cup of coffee – happy days! Our collaboration with Equilibrium Gym all began with their big move from a smaller unit in Grantham, to a much larger gymnasium. In May 2018 Equilibrium moved on to the Springfield industrial estate in Grantham. Just off the main road and close to the A1, it’s very well situated for ease of travel. This huge place is full of gym equipment to aid all levels, abilities and ages in exercise. Along with personal training and gym access, you can also choose from a range of classes to participate in. There is even a dedicated, sound controlled area of the gym for working out to music and watching the live screen. 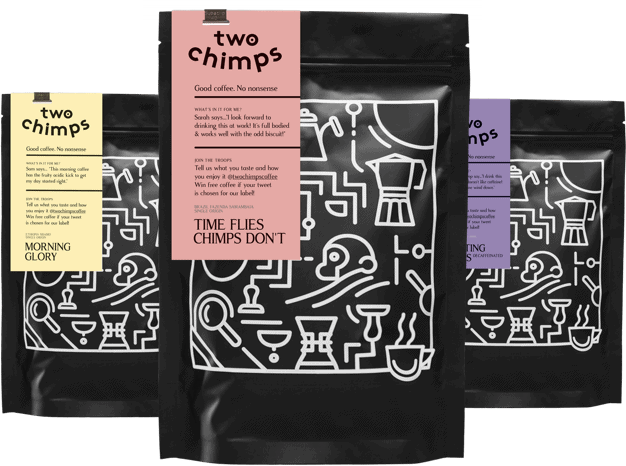 Along with an awesome re-brand and larger space, the guys at Equilibrium gym are now serving Two Chimps Coffee, freshly ground for you to drink on site or take away. The idea behind the coffee bar is not just to serve good coffee, but to make this as easy as possible to fit in with your day to day life too. Everyone is busy and most people need coffee! With this is in mind, Equilibrium has a ‘self-serve’ coffee bar with a payment app to ‘tap and go’. Grabbing a quick cup of coffee couldn’t be easier (or tastier)! They have chosen our smooth, sweet and creamy coffee from El Salvador to serve. But, watch this space as they will soon be serving their very own EQ Custom Blend of Coffee. This will be created by the head team at Equilibrium gym who will be tasting, blending and choosing the coffee that is served. We are true believers of ‘fresh is best’, so we deliver to the team at Equilibrium gym weekly giving you consistently fresh coffee to enjoy. Our speciality coffees are ethically sourced and hand roasted in small batches weekly. Working out couldn’t be any more inviting – don’t take our word for it, get in touch with the team today and check it out. Intrigued to see what all the fuss is about? Order a taster of our coffee today.